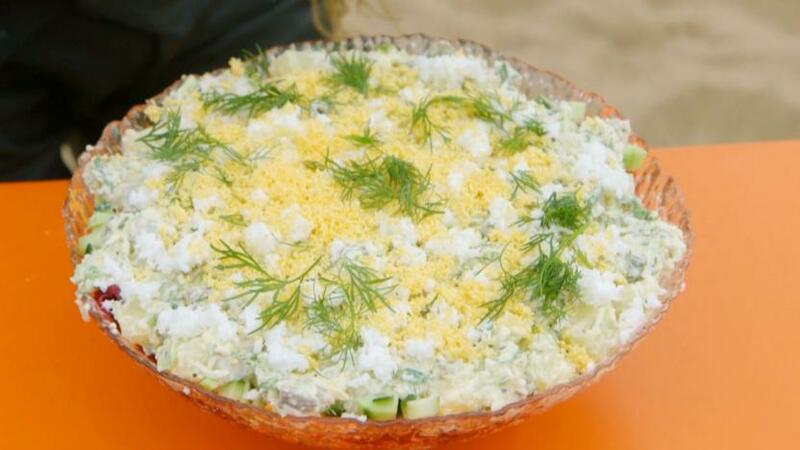 This beautiful layered salad is inspired by the Biker's travels to Latvia. It would make a fantastic addition to a smorgasboard. Bring a pot of salted water to the boil and add the potatoes. Cook until soft, then drain and leave to cool. 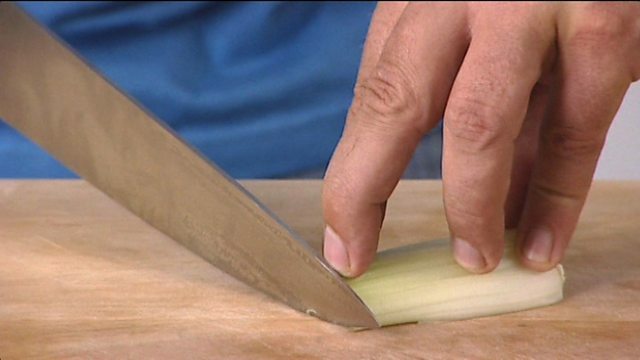 When cool, put in a bowl with the spring onions, apple, horseradish and anchovies and fold all of the ingredients gently together. Separate the egg yolk from the egg white and finely chop both. To assemble the salad, put a layer of the lettuce at the bottom of a large glass bowl. Top the lettuce with a layer of potato salad (reserve a little potato salad), followed by a layer of carrots, beetroot, cucumber and a final layer of potato salad. As you are building up the layers, sprinkle the dill and cornichons throughout each layer and season with a little salt and pepper. Top the salad with the chopped egg and a final sprinkling of dill.